I reversed into a fire hydrant in the rain. 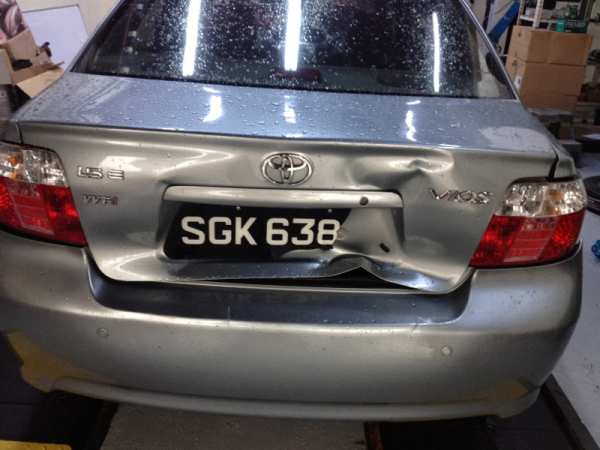 As I drive a ‘soft Vios’ the only cost is my car repairs. Won’t be receiving a gov letter cos the hydrant is in perfect condition. If I had a Merc the hydrant would be totalled and it would be a damage to public property charge. Stay happy and safe my friends it sure pours cats and dogs these days.